We had not really gotten on the cider wagon. Living in Asheville nowadays, you gravitate to craft beer for the most part. And rightly so. After Beer City USA happened, the craft drinking scene in our community was embedded in our hearts and souls, which led to our mouths and down our throats. Along with that, comes their cousin cider! After reading a recent article about the Top 25 Restaurants in Asheville, and seeing how Urban Orchard Cider Company made this list; we had to go again. Not only that, but when the Asheville Foodie page on Facebook tagged the restaurants on Facebook congratulating them, they were one of the few who responded. Social media counts, so that’s a few more clout points to them in our book! The cider was delicious, perfect for the Sunday brunch meal that we had which was an Artichoke Dip plate and a Reuben Sandwich. Everything was so good. We sat in the open window seats and enjoyed the fresh air. 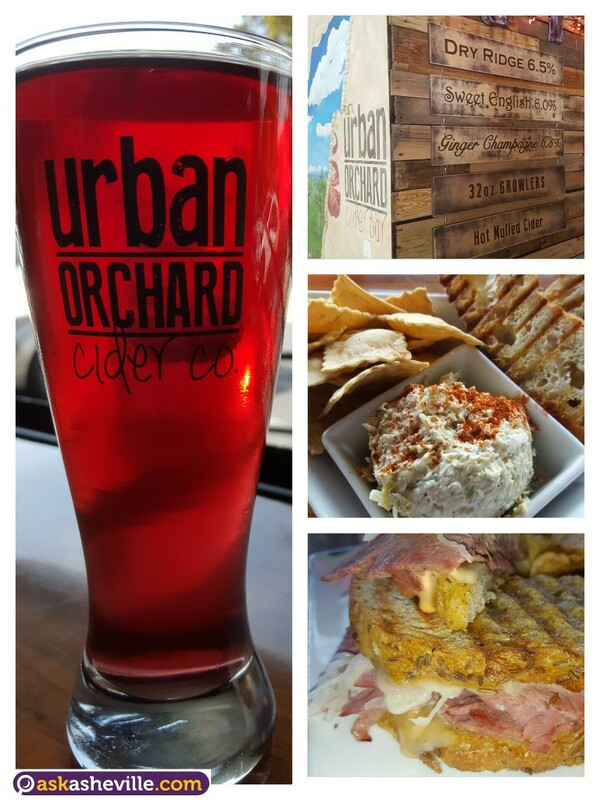 If you have not been to Urban Orchard Cider Company, they are located on Haywood Rd East in west Asheville on what some call Asheville’s Sweet Slope. Other eateries in walking distance of this spot are The Hop Ice Creamery, Short Street Cakes, HOLE Doughnuts, and the new Taco Billy. Also, remember that the NC Cider Fest 2015 is coming up on November 7, 2015 in Asheville. That event is going to be tremendous! !